How do I force close a job without completing the entire job process in SWRemote on iOS/Android? 1. 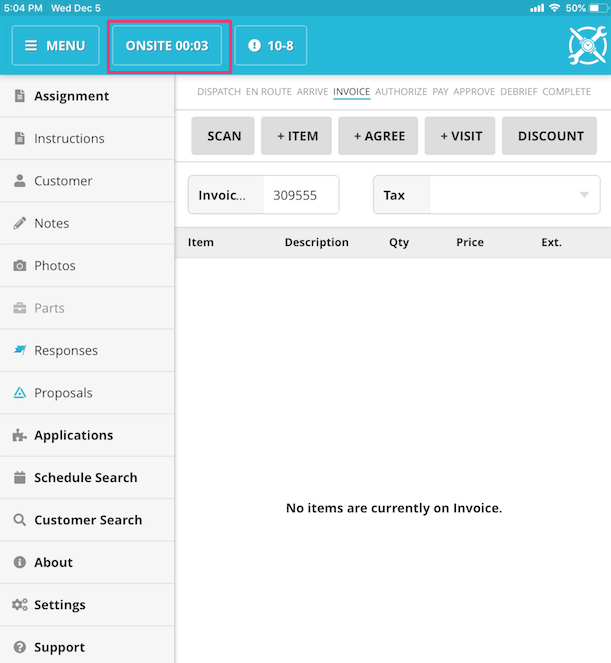 You will need to be in the Call, and on the Invoice screen or later. 2. 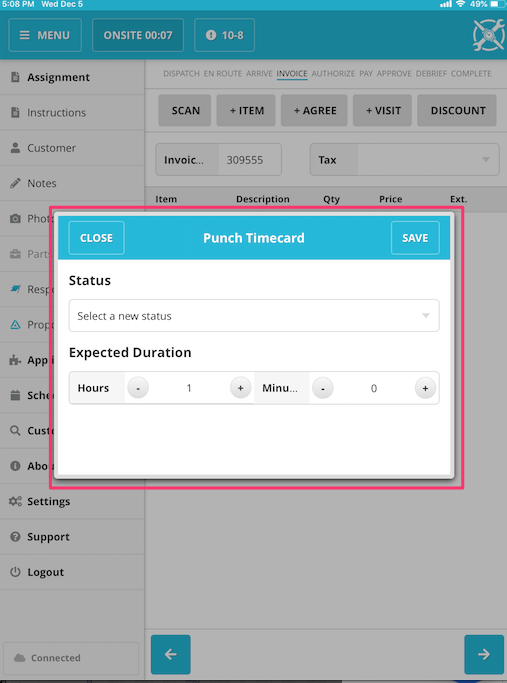 In the top left of the screen, click on the time card status box. 4. 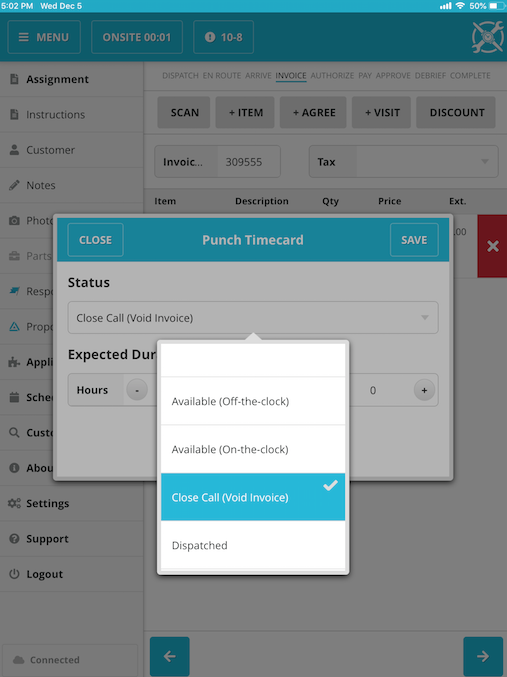 Select the option of Close Call (Void Invoice) from the drop down and press Save. 5. A message will display confirming that you want to close the call and that this cannot be un-done. Press Yes. Once the job is closed, it will prompt you to dispatch to your next job if there are any available. If not, it will ask you to enter a time card status. But what does Voiding a job do inside of SuccessWare21? 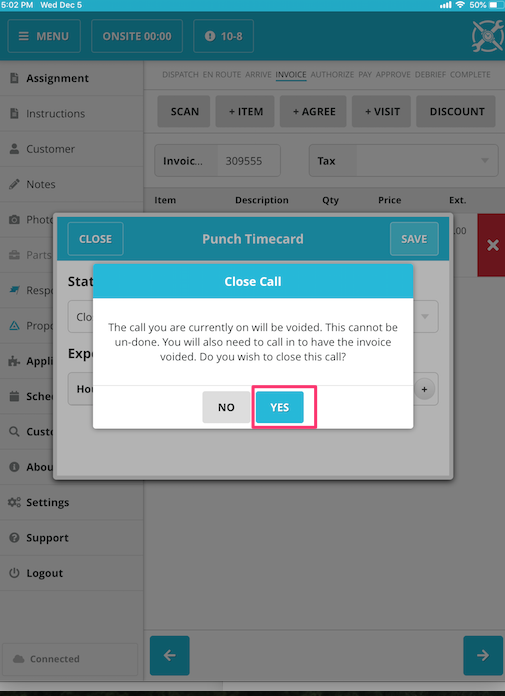 It will show as "Call Completed (But Job not Closed)" and will show the open folder icon.